Complete with syphon, fill valve, pan, cistern and seat. Toilet To Go is rated 3.7 out of 5 by 22. Rated 3 out of 5 by Audioslim from Cheap but pour quality plastics on the fittings Extremely thin plastic thread on the fill valve inlet which just leaked after attaching a flex hose with metal attachment. Had to buy a replacement as leaked. Toilet itself decent. Rated 2 out of 5 by Plumber Pete Exmouth from Toilets to Go The first toilet was cracked when I opened the box and returned for exchange. Second toilet had to be returned as the holes between cistern and toilet was not aligned and toilet leaked. The third attempt was fitted but not happy how loose the lid was. Will see how long it lasts in a rental property. 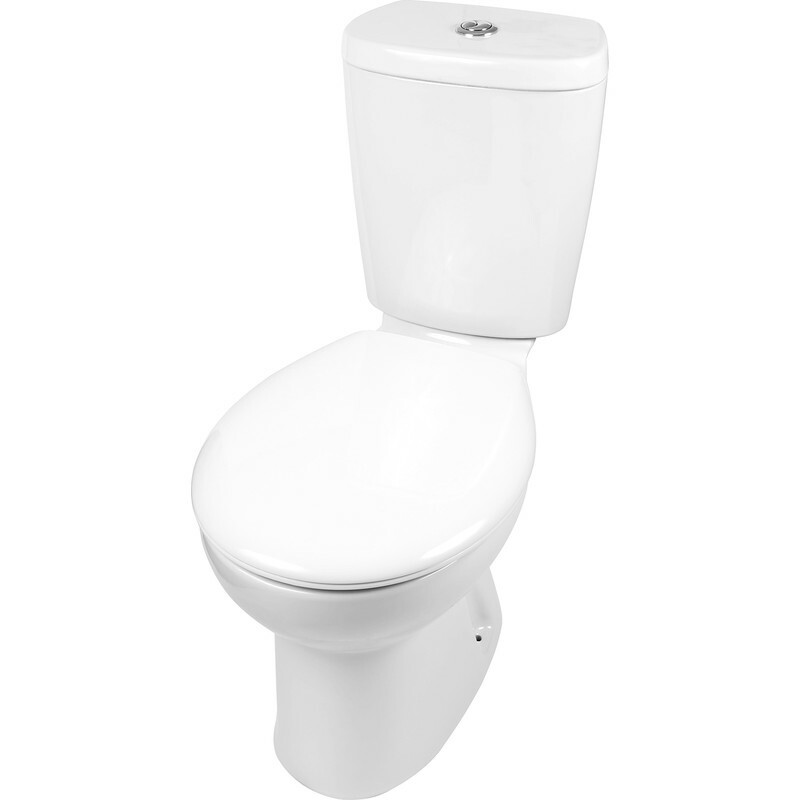 Rated 4 out of 5 by cj44 from Good quality toilet at economical price With a leak from old toilet cistern requiring urgent replacement, I bought new toilet from Toolstation at 9 am Sunday morning. Great service and nice neat toilet, only problem was a bit low so piece of wood was needed under it to make it better height. Rated 5 out of 5 by Jeffro450 from Great toilet for you money This is one of the best ToGo toilets I've fitted ,even has brass threaded screws,fitted quite a few now & would highly recommend all fixing are quality unlike some rival toilets where the fittings are cheap & low quality,so buy this one with confidence.. Rated 5 out of 5 by Luckydog1 from Excellent Very good service by all and easy to use. Rated 5 out of 5 by Mech ano from Value for money, a basic toilet which does the job Just needed basic toilet for the conservatory, I have seen previous reviews that weren't positive. I took a chance and as far as this toilet goes it's perfect, no cracks or other problems which would have attracted a totally different view, so well done Toolstation.